If we were to say that Hashem (G-d) has a form located in geometric space relative to other physical objects; it would be possible to speak of two concepts in relationship to Hashem: his essence and his position. These two concepts would create an element of plurality concerning Hashem and would limit Hashem to being finite. As the creator of all things, Hashem is the creator of space and time. He therefore does not exist in space and time. Hashem is the antithesis of all material attributes; otherwise it would be impossible to ascribe to him alone, purity and holiness. Also since Hashem is the creator of matter it is obvious that he does not consist of matter either. Plurality therefore in general, presents a problem in that if we are to say that the unity of G-d is composite i.e. made up of parts to make a whole: it is obvious that anything that has a part has a whole, for the whole is but the sum of its parts. That the infinite (with reference to considering the unity of Hashem) should have a part is inconceivable; for a part is defined as one quantity separated from another, the smaller quantity being the measure of the greater. If for example we imagine a thing that is actually infinite, and that we take away a part from it. What remains will no doubt be less than what it was before. 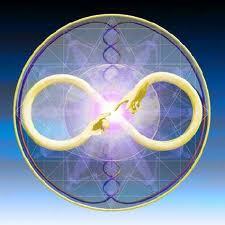 Now, if this remainder is [still] infinite, then one infinite is greater than another infinite, which is impossible. If the remainder is finite, and we put back the part we took away (which is also finite), the whole will be finite. We had assumed at the start, however, that [the whole] was infinite. The same thing would then be finite and infinite, which is an impossible contradiction. It follows, then, that it is impossible to take away a part from that which is infinite, and that whatever has a part is certainly finite. We have just said that something composite consists of more than one component or part cannot be infinite. Something that is composite also cannot be eternal since there must have been a time when the separate parts were joined together by a previous cause to make a whole. Now it stands to reason for something to be eternal it has to have no cause and no beginning and also no end. In most English translations of the Bible (e.g. the King James Version), the letter G in “god” is capitalized in cases where Elohim refers to the God of Israel, but there is no distinction between upper and lower case in the Hebrew text. “God created. The Hebrew noun Elohim is plural but the verb is singular, a normal usage in the OT when reference is to the one true God. This use of the plural expresses intensification rather than number and has been called the plural of majesty, or of potentiality”. It is worthy of note that, in the Biblical Hebrew, the customary grammatical “plurality” of a word is often simply that: a grammatical plural. The use of “plural” forms for singular nouns is common in the Hebrew Bible, and often connotes quintessence, uniqueness, or might rather than plurality (though it may connote both). Thus, the phrase “מלך מלכי המלכים” (“melekh maləkêi ha-məlâkhim”) does not refer to “a king, kings of kings”, but to “a king of unsurpassed kingship”; שיר השירים, (“shir ha-shirim”) does not refer to “a song of songs”, but to “a song that is the quintessential song”; ימים רבים (“yamim rabim”) refers to “a great sea” as easily as to “great [or ‘many’] seas”. A clue to this is the Hebrew grammatical term for “plural”: lâshon rabbim, meaning a term of grandiosities. Are we to imply from the above that there is a plurality in Moses? This would be silly in light of what has been explained above!! From the above examples and Exodus 7:1 it would appear that the intensity applied to Moses is an evidence of his uniqueness and exalted status. The issue of body and soul is very important and these verses apply to the physical body and subsequent resurrection. What I mean by this is that the body is the vehicle of the soul or to use computer language, the interface of the soul to the physical world is the body. Death of the physical body severs the connection between the spiritual aspect of man (soul) and the land of the living (i.e. the physical creation). Consequently it is impossible for the souls of men to be in contact with those souls alive in a physical body. Following on from the above we touch on the idea that man is created in the image of G-d and the challenge of understanding what this means. Since we are not to attach a ‘form’ to G-d and we are reminded that we did not see a form of G-d when he gave us the ten commandments only a voice (see Deut 4), then it seems only logically consistent that being formed in the image of G-d means that the image is akin to the soul and not the physical body. Voice/ languages are a distinct feature of man which distinguishes him from animals here in this physical creation. The voice is indicative of the thoughts of man / spiritual soul or the G-d like aspect of a person (i.e. the soul is the real you not the body). According to Ramban the ‘we’ and the ‘us’ in the creation of man in the image of G-d suggests the partnership between the earth (the earth supplies the physical elements to form the body) and the creator who forms the earth into a physical body and infuses the physical body with the necessary spiritual/ intellectual requirements for a physical/ spiritual existence. Here I can recommend a very interesting book that draws staggering conclusions from Rashi and Ramban et al. It held me transfixed all Shabbat. It is called “The beast that crouches at the door”, by Rabbi David Fohrman, Devorah publishers. It’s a must get book!! Ramban also recommends that we look at Rashi also. Rashi indicates that the ‘we’ and ‘us’ is indicative of a mighty G-d and his attending company of angels and is placed before us an example of the humility of G-d by his consultation with his subjects (see scans of Rashi and Ramban commentaries attached for more detail). Verse 27 of Genesis 1 makes it quite clear that the creating is done solely by G-d and in His image only: So God created man in his [own] image, in the image of God created he him; male and female created he them. (Gen 1:27). Gen 1:27 also rules out any idea of a plurality with G-d when compared with or considering v26. Genesis 2:21 And LORD God caused a deep sleep to fall upon Adam, and he slept: and he took one (echad) of his ribs. How many ribs? Maybe God took a single rack of ribs (As you would receive a rack of barbecue ribs in a restaurant). Genesis 22:2 And he said, Take now thy son, thine only son Isaac, whom thou lovest, and get thee into the land of Moriah; and offer him there for a burnt offering upon one (echad)of the mountains which I will tell thee of. How many mountains did Abraham go to? Exodus 25:19 And make one (echad) cherub on the one (different word) end and the other cherub on the other end. How many cherubs on one side? Leviticus 16:5 And he shall take of the congregation of the children of Israel two kids of the goats for sin offering, and one (echad) ram for a burnt offering. Mal 2:10 Have we not all one (echad) father? Hath not one (echad) God created us? Why do we deal treacherously every man against his brother, profaning the covenant of our fathers? Multiple fathers a biological possibility? Numbers 10:4 And if they blow but with one (echad) trumpet, then the princes, which are heads of the thousands of Israel, shall gather themselves unto thee. Were they supposed to blow with an orchestra of trumpets in unison? One what? One grape? No. One cluster of grapes. Is one cluster of grapes the same as one grape? Absolutely not! In addition to that, the word here is grapes (plural). If echad was used in reference to the word grapes, the phrase would be nonsensical. In the phrase, “one cluster,” does one sufficiently describe what the numeral “one” is supposed to describe? Without a doubt! The bottom line is that Echad just like the English word ‘one’, one is a compound unity like one dinner set (having plates and cups etc) or an absolute unity like one nose on your face! Answer is derived from the context. QUESTION(S): Who are the plural terms “us” and “our” referring to? Genesis 1:26 states: “Then G-d (Elohiym, ‘Gods’) said, ‘Let us make man in our image, in our likeness‘…” (NIV). The case of the witch of Endor and Samuel appears to be a rare exception; a reading of the context would imply that the witch was amazed that it actually happened!! I do not believe in the Trinity. That was invented in 325 AD. I believe in the One God Of Abraham, Issac and Jacob. Rockstar post. So, so, so good.